Are you keen to visit Lyon? The best way to admire the city is definitely by boat. Whether alone or as a group, narrated cruises are available. From the Old Lyon to the exciting new Confluence district, experience the Bateaux Lyonnais for yourself! Phone : 04 78 42 96 81. Trévoux river stop is minutes from the campsite and Les Cascades water park. It has great views of town. Nearby: shops, media centre, cinema, artist and artisan studios...Wi-Fi access. Phone : 04 74 08 44 83. From 01/03 to 30/09/2019, daily. 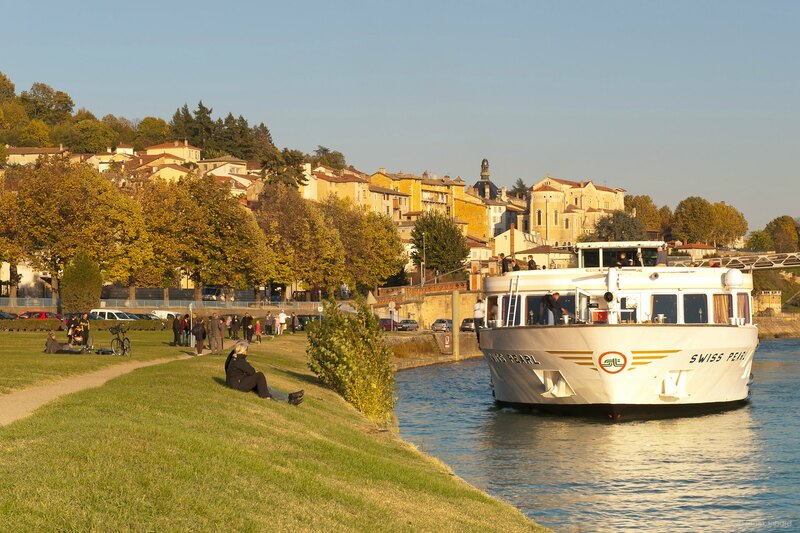 Day cruises from Trévoux on the Saône to Pont-de-Vaux: 6 hour cruise with meal on-board, trip through two locks, entertainment by the Maison de l'eau and nature in Pont-de-Vaux. Return coach ride.